We talk a lot about how to make your own cleaning supplies, but have you ever wondered why you should bother? Some cleaners, like my all purpose cleaner, are quick to make and just as effective as the ones on the shelf. Others, though, like my DIY soft scrub, require more a little elbow grease than their chemical cousins. 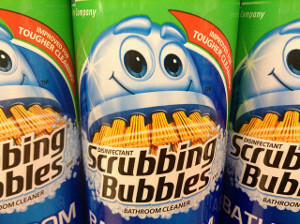 This begs the question: Why would you scrub with your hands when store-bought scrubbing bubbles can do it for you? Isn’t that the point of buying things from someone else in the first place? Well, the reason for making your own cleaners comes down to costs, some monetary, some not. Let’s look at the three main costs of toxic store-bought cleaning products, and the benefits of making your own cheap, safe, natural, and effective cleaners. This tends to be the most convincing cost when considering why making cleaning products is worth it. The supplies tend to be cheap, cheap, cheap. You can get a gallon of white vinegar for less $1 and make enough highly-effective all-purpose cleaner to last months. A two-pack of store-bought soft scrub costs just over $9.50. 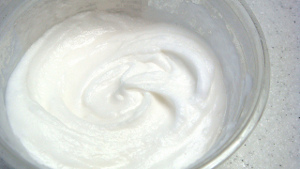 For just under $6, though, you can get a pound of baking soda, which makes more tub cleaner than you’d use in a year. When considering store-bought products, all of those chemicals and the packaging they come in – which we’ll talk more about – also cost money. Companies pass those costs along to you. The health costs are what got me to start making my own cleaning supplies. Conventional cleaners are just plain bad for our bodies. They contain harsh chemical fragrances and solvents linked to health concerns from respiratory issues to cancer. No, thank you. 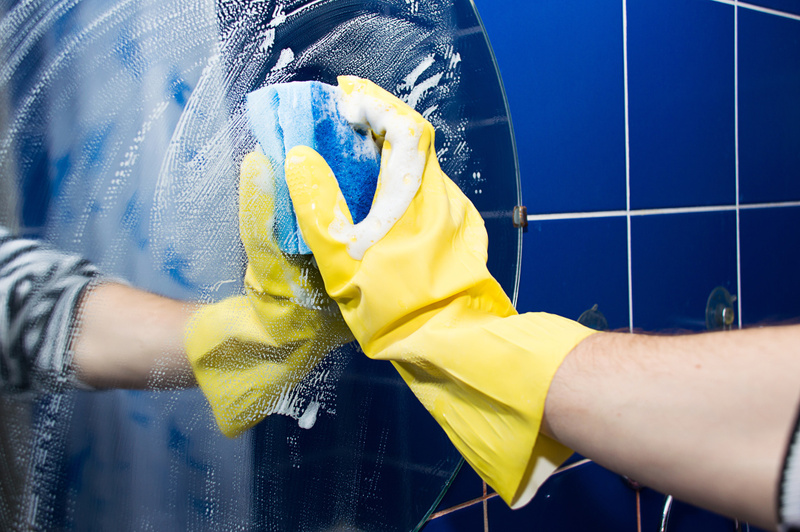 Let’s take a closer look at those good old scrubbing bubbles so many of us use to clean the bathroom. A quick search on the Environmental Working Group (EWG) cleaning guide reveals that their shower foam contains ingredients linked to so many health issues that it received an “F” score. I’ll always scrub a little extra to avoid exposing my family to carcinogens. There’s something else worth noting on the EWG cleaning guide page. Notice that the ingredients list header says, “Known Ingredients?” That’s because chemical companies don’t have to disclose what’s in their products. (Crazy, right?!) So, on top of any nasty stuff that is listed, there can be hidden ingredients that are even worse. And don’t be fooled by the stuff on the shelf that’s supposed to be better. The American Lung Association points out that even “green” or “natural” cleaning products can contain harmful ingredients. When you make your own, you know exactly what’s in that bottle. The effects of cleaning products don’t stop once you’re done scrubbing. We rinse chemical cleaners down the drain, and when we’re done with those products, we toss the container into the trash or recycle bin. All of this has environmental costs. Sorry to harp on the scrubbing bubbles, but they’re such a good example of how store-bought cleaners’ overt and hidden costs. After you’ve spent the extra money to scrub your tub (exposing yourself to harmful substances in the process), you rinse the cleaning chemicals down the drain. Scrubbing bubbles contain “cleaning agents,” which the EWG says are incredibly toxic to marine life. Your city’s wastewater treatment plant can’t remove these harmful chemicals, so they end up in rivers and lakes where they wreak havoc on plants, animals, and ecosystems, and eventually make their way to our drinking water supply. The packaging cleaning supplies come in is also incredibly wasteful. There’s still some waste associated with homemade cleaners, but it’s way less than with store-bought. DIY cleaning ingredients often come in bulk, and a big box of baking soda or gallon jug of white vinegar makes a lot more product than one spray bottle-worth of cleaner. Plus, you can reuse the same spray bottle for your next batch of homemade cleaner. When you take a hard look at the costs associated with commercial cleaning supplies, making your own becomes a real no-brainer. Especially when you consider how easy it is.